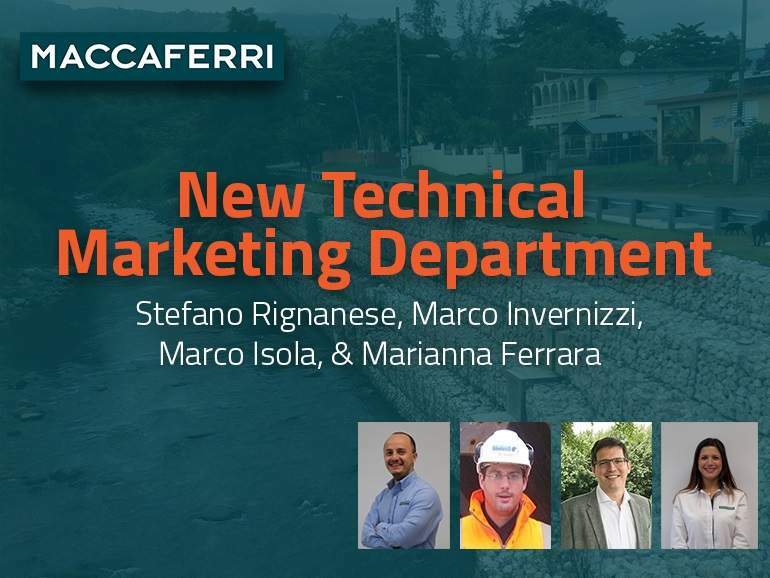 We are proud to announce Stefano Rignanese has joined Maccaferri, Inc. Stefano started with Gruppo Maccaferri in 2012 and worked for Maccaferri Mexico for 4 years as the Technical Manager, getting involved in promotional and commercial activities and leadership. Prior, Stefano worked for Officine Maccaferri (OM) in Bologna as an engineer in the Technical Department. Stefano has a Master of Science in Civil Engineering. In his role, Stefano will be supporting the Pacific, West and Southwest Areas. Stefano enjoys basketball and has a mean cross-over. It is with immense pleasure that we welcome Marianna to the team. We are looking forward to her immediate, lasting and meaningful contribution. Marianna also joins us from Maccaferri Mexico where she gained extensive knowledge in design, application and commercial positioning of our geosynthetics portfolio. Previously, she trained from OM in Bologna. Marianna was born in South America, grew up in Italy, and received her Master of Science in Environmental Engineering from Florida International University in Miami. In her role, Marianna will support the Mid-Atlantic, Midwest, and Great Plains Areas. Marco Isola is a Senior Engineer for Maccaferri’s Technical Department. Marco, originally from Italy, earned his PhD in Civil Engineering from the University of Florida. Within Maccaferri, he is responsible for the project development and design for the Southeastern United States, the Caribbean, and the West Indies. He also provides technical support to all Area Managers for soil stabilization and pavement reinforcement projects in the US territories. Marco joined our team in August 2014. He currently lives in Tampa, Florida with his wife and daughter. We look forward to continuing to work with Marco Invernizzi, a trusted consulting engineer, in the South-Central and South-West areas. Marco has over 10 years of experience in slab on ground, foundation, retaining structures (MSE, gravity and masonry wall), rockfall analysis, soil nailing and slope stability, erosion control and channel lining, and flexible pavement design. Marco expertise includes structural design with fiber reinforced concrete, using different codes and guidelines; design of drill and blast for open pit mines, underground mines, tunnels and caverns. While not hard at work, he enjoys participating in a wide variety of outdoor activities.